This is a slow growing evergreen shrub from South Africa. It is likely to stay around a metre in Australia but can be cut back if it grew taller and you wanted it shorter. There is plenty of foliage if it is happy. It has pretty lavender flowers of a respectable size and for a long time, the most in spring. There are a couple of variations in texture of the leaf but the flowers are the same. It will put up with the conditions you give it except waterlogging, but probably prefers sun. Young plants could be mildly frost tender or could die in summer with too much water.. 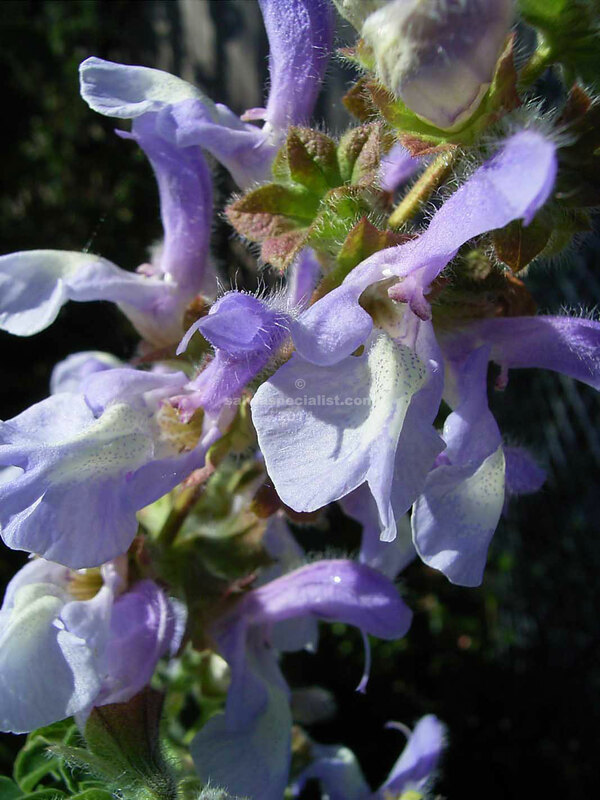 This salvia sets seed which you can grow or use cuttings. Prune with hedgers maybe mid summer. The salvia closest to it would possibly be another South African, muirii.